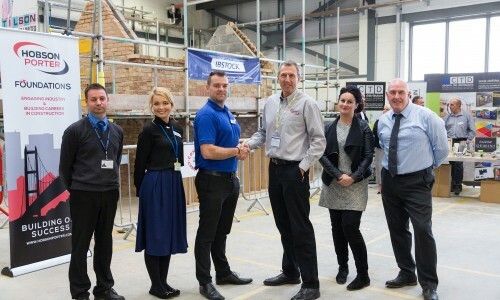 With more than 16,000 construction jobs anticipated regionally over the next five years, a Hull-based firm has launched a scheme to improve skills and employability among construction students. Foundations, a scheme in which businesses will pledge resources, services and experience to people wishing to pursue a career in construction, was launched by Hobson & Porter and 34 of its industry partners at the ‘Foundations Live 2016’ event held at the Bishop Burton College Construction Workshop on Wednesday, October 5th. The event saw more than 350 students speak to a host of industry professionals. 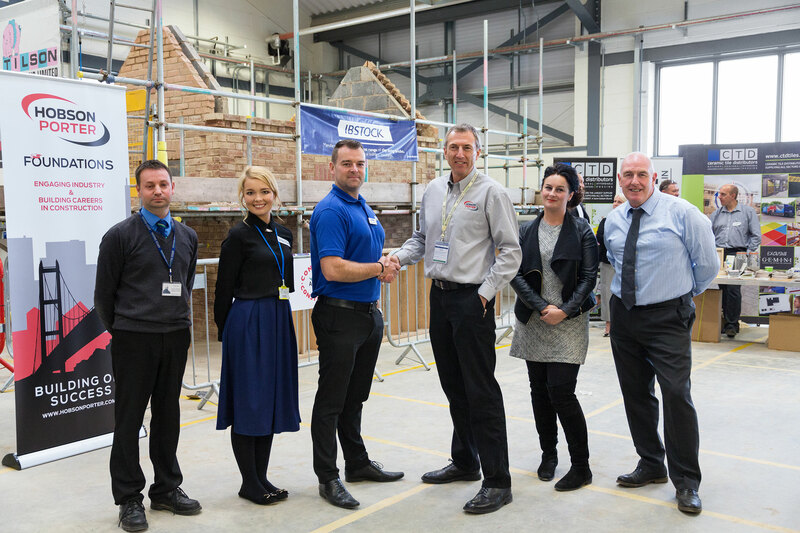 Held in collaboration with Jewson and Bishop Burton College, the event saw businesses from across the construction industry exhibiting and sharing careers advice with students of all ages. Hobson & Porter has founded the scheme in a bid to ensure students are armed with the skills and employability to embark on a career in construction and fill the demand for specialist roles in construction. Hobson & Porter Business Development Director Dave Blades said: “As the construction skills gap continues to grow, it is necessary that we address this and work with our partners and supply chain to inspire people from all walks of life to consider a career in construction. “GoConstruct estimates a growth rate in the industry of 2.5% each year for the next five years, equating to more than 250,000 new roles on a national level, with 16,000 of those potentially in Yorkshire and the Humber. We all need to play our part in ensuring the industry can meet this demand. “Foundations, however, is not simply about inspiration. It is about the collaboration with our education partners to provide hands-on experience for construction students and people looking to take up a career, spanning the gap between education and industry. “Our partners and our supply chain businesses recognise this, which is why we have already seen a fantastic reception to the Foundations scheme. Hobson & Porter has engaged various manufacturers, suppliers, trades and consultants who have agreed to support the Foundations programme over the next academic year. The businesses will pledge to support in the form of professional resources, knowledge and construction materials to support skills and training in construction. By engaging professionals from across the construction industry, the scheme aims to build long-term careers in the construction industry. Jeanette Dawson OBE, Chief Executive and Principal at Bishop Burton College, said: “Employability sits at the core of our curriculum so we’re particularly proud to be part of the Foundations Programme and we are delighted to have hosted the first ever Foundations Live event. “By being part of this initiative, our construction and engineering students will benefit from hands-on, practical training alongside the major employers in the region; helping them to develop the skills needed for industry. Chris Reader, Jewson Sutton Fields Branch Manager, said: “Jewson is proud to be supporting an initiative which helps to drive people into this industry.